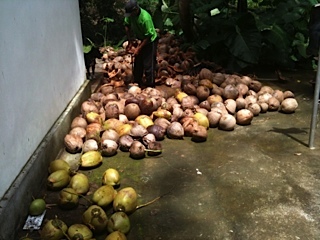 These are our coconuts harvested in December. 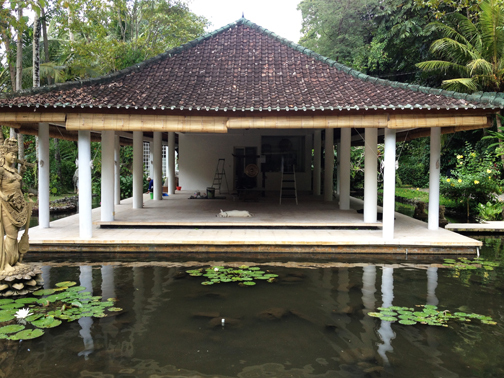 They were used for the production of our own coconut oil which is also for sale in Jiwa Damai. The coconuts used for oil must be left on the trees until they are dark and dry. The green coconuts are ‘young coconuts’ or ‘kelapa muda’ in Indonesian language and are used for drinking as a natural organic rehydration drink – perfect for refreshing us during the hot weather we are getting just now. 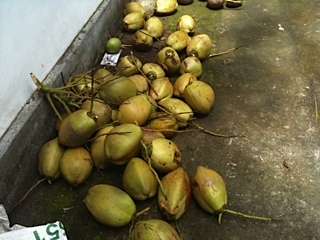 Guests at Jiwa Damai are greeted with a cool coconut water from our garden on their arrival. 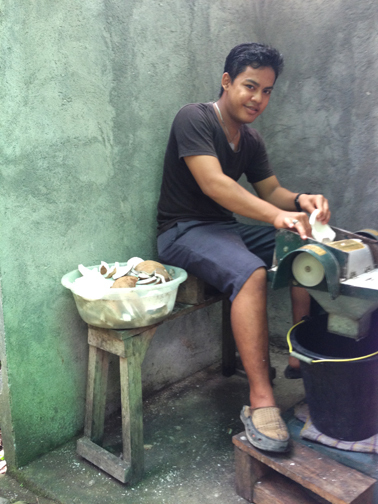 Putu, our cooking assistant is grinding down the coconuts into what will become the basis for the organic cold pressed coconut oil.